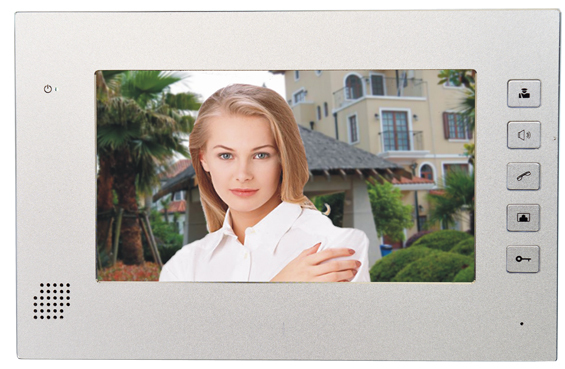 Our Villa Intercom System is the most advance on the market. 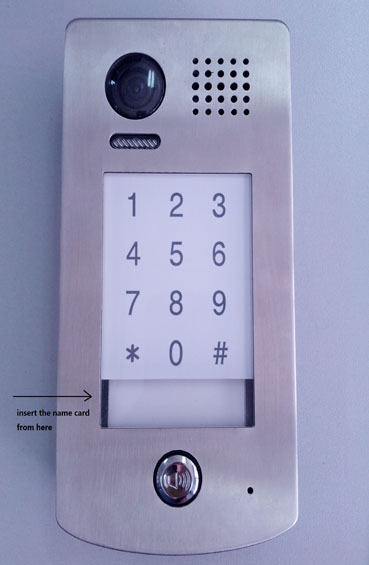 It can appear in a number of levels – the Basic Level includes an entrance panel with Access Control Keypad and adding a camera. Alternatively, the full system which has a full support in Hebrew and English so that it will be functional for use by any client according to his needs, wholly adapted to the requirements of every single user. Our intercom has backlight controlled by photoelectric cell so that also in the dark the tenant or guest can conveniently use the intercom panel. Our Villa Intercom System has backlight which is controlled by a photo-electric cell so that in the dark tenants or guests can continue to conveniently use the intercom panel. In our intercom system the intercom panel has a built-in camera backed up by infra-red lighting, and this is known as intercom camera for perfect visibility even in the dark. With our Intercom System you can call one villa or in the full system to search according to family name in alphabetic order, according to names of tenants in the villas area. You have to press the bell key on the basic system or choose by arrows up or down and to press the first letter of the family name as it appears on the print on the number key on the panel of the full system. Pressing the number according to a letter accesses a group of family names under this letter. You have to roll the list using arrows until reaching the requested family name which will appear in bold by a flashing light, and now pressing the pound key the call will be carried out to the tenant or chosen family name. 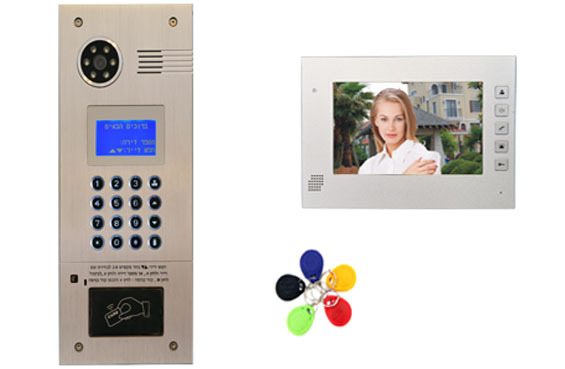 Our Villa Intercom System includes 5 access control RF Tag Keys for each apartment. These entrance keys(chips) allow convenient and safe entrance to the building by linking the pad to the panel reader which is built-in the intercom panel. This is accomplished without need to press entrance code on the panel itself. This also reduces wear of intercom panel. Our Villa Intercom System has the possibility of working not only with one entrance in the neighborhood but also in a place with multiple ones. E.g. A front door and a back entrance. 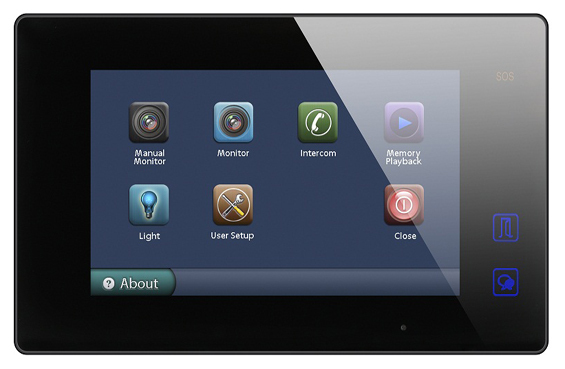 The intercom system is integrated with a high quality 7” flat color screen in the apartment. This screen enables to speak freely without holding a microphone. From the apartment screen you can open the entrance door using an opening switch on the front of the screen for opening the front door. You can initiate a call and see the picture on the intercom panel so that you can view what is happening at the entrance of the building by pressing a button on the screen. You can also initiate a call to the security guard desk. When receiving a call from a visitor you can converse or open the door immediately or ignore the call. Of course, you can converse with the visitor who made the call to the apartment. 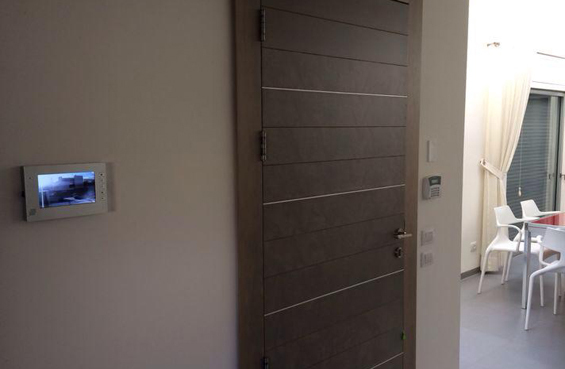 In our Villa Intercom System it is possible to integrate several screens in one apartment. It is possible to upgrade the system by adding a connecting adapter of the apartment screen to the apartment telephone line so that during the call to the family you can respond from the screen unit and also the apartment phone. There is a possibility that the system will search for you on the apartment line phone and afterwards on your mobile including recording the conversation with the guest. (video/audio). Another option is to upgrade the system and connect up to 4 cameras to our Villa Intercom System. The technological advancement and our expertise in the field of intercoms for buildings combined with our meticulous attention to quality service make our intercoms for buildings a first class product.